The connection between Hanukkah and Hygge, the key to the Danes’ legendary happiness. Do You Judge Other Moms? I’m so grateful for the cozy glow of the Hanukkiah and the oven full of baked goodies to heat up the house! You are amazing chana! How you always make us discover new books and concepts and how you connect judaism and torah to the world in general! 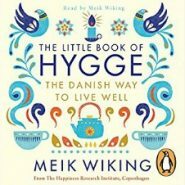 I loved this hygge concept its exactly what we try to achieve on hannukka and chabat! Have a enlightened hanukka full of hygge moments!